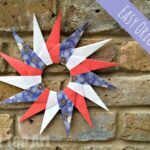 One more lovely Christmas Star for you today.. actually, these newspaper stars can be made all year round – they would look lovely a for New Year’s Eve or 4th of July celebrations too! 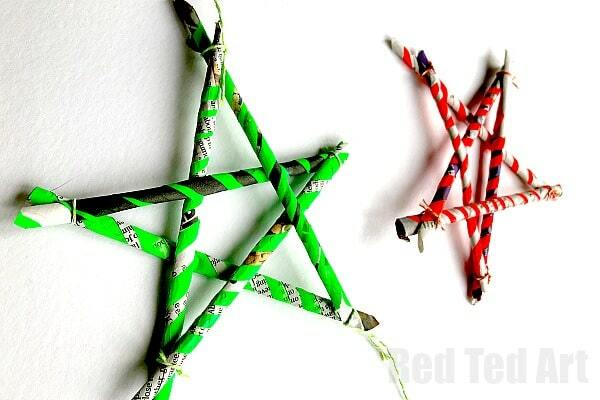 But as we chose some fabulous green and red neon colours to make our newspaper paper straws, I think they work really well as neon stars for Christmas! 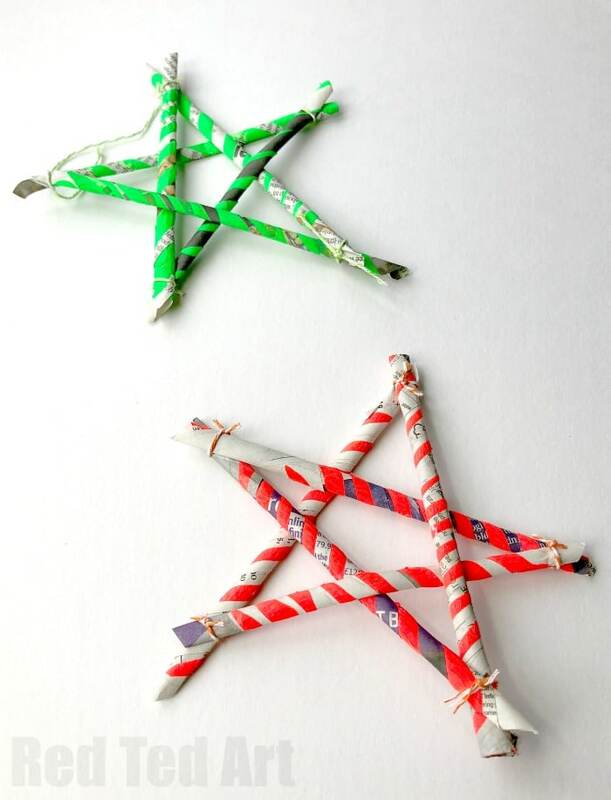 They are based on the “classic” 5 pointed star that you can also make from sticks or craft sticks.. except today we chose DIY Paper Straws. 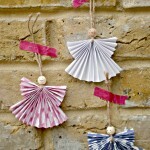 They are pretty easy and quick to make.. though you need to have good “knotting skills” – so you maybe for older kids. 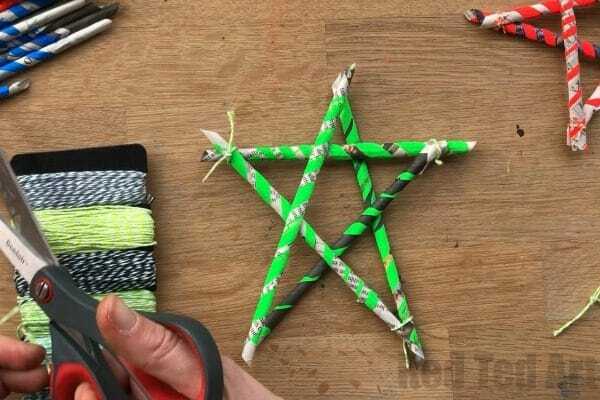 Alternatively, you can “hot glue gun these”, but then do not follow the “folding process” below, but arrange your paper straws into a 5 pointed star and glue! Anyway.. 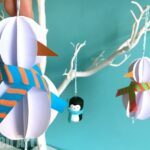 I am getting ahead of myself! 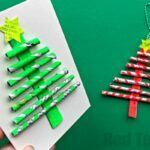 FYI – we also used these fabulous DIY Newspaper Straws to make newspaper Christmas Tree Ornaments and Christmas Tree Cards. 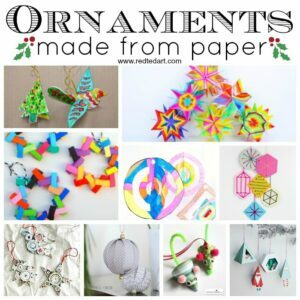 Do check those out too (LOVE the card in particularly!). 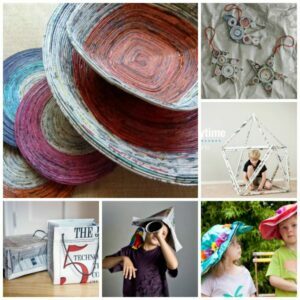 We have many more fabulous Newspaper Craft Ideas for you to browse too. 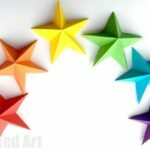 Watch the video or follow the instructions below… we have a really clever little trick for making these paper stars.. a knot, turn and twist method.. that the video method really highlights. The step by step instructions below explain this too.. however, I recommend having 5 straws handy as you do this, as it makes more “sense” then…. 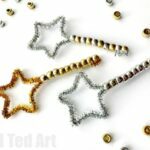 Begin by making your paper straws – you will need 5 for each stars – approximately 10cm long – but it really is a question of preference. 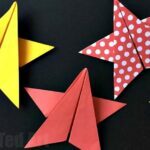 We have a great How to make Paper Straws tutorial here (for each straw we used a peice of roughly 4cm x 14cm newspaper). Knot the first two at the top. The second and third at the bottom. The third and forth at the top. Finally the forth and fith at the bottom. 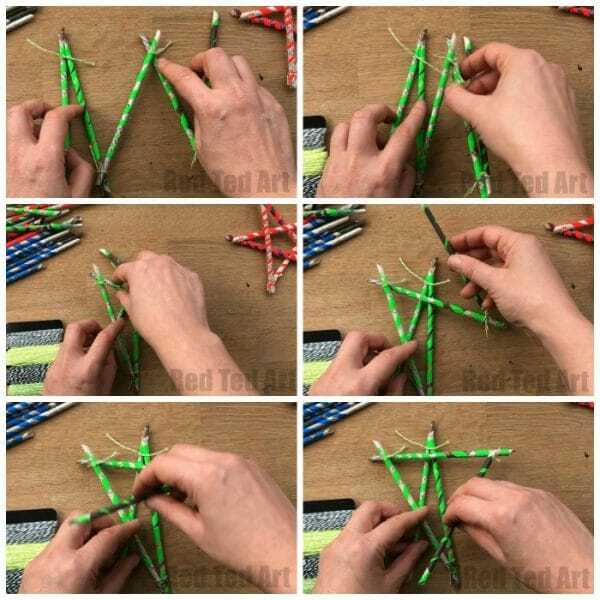 Take straw 3 and 4 (knotted at the top), lift and fold OVER straw 1 and 2. Now take the final 5th straw (it will be pointing up) and point it down, towards straw 1. And straw 5 pushed through the other point. Finally secure all first and 5th straw together….